Stranded on the lonely road, which leads up to the Barrow, you must make your way through the trees, and darkening landscape, and out onto the Barrow itself. Following in the footsteps of the well-known archaeologist, Conrad Morse, you will discover that the barrow is more than just a mound of earth and a collection of forgotten standing stones. 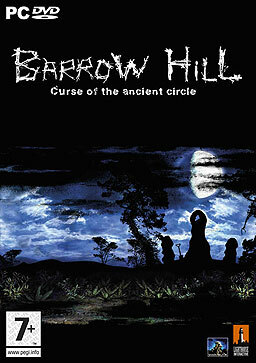 To promote Barrow Hill: Curse of the Ancient Circle and grow its popularity (top games), use the embed code provided on your homepage, blog, forums and elsewhere you desire. Or try our widget.